The High School Placement Test (HSPT) serves as an entry measure of academic progress and placement for the incoming Freshman Class. Bishop Kenny High School requires that all incoming 9th grade students take the test as part of the admission process. Students will demonstrate content and skill knowledge in the following areas: verbal, quantitative, reading, mathematics, language skills and science. The format of the test is multiple choice and will take approximately 3 hours. For the mathematics test, students will not be allowed to use calculators. Students will have access to scratch paper or may write in their test booklets to do any calculations. 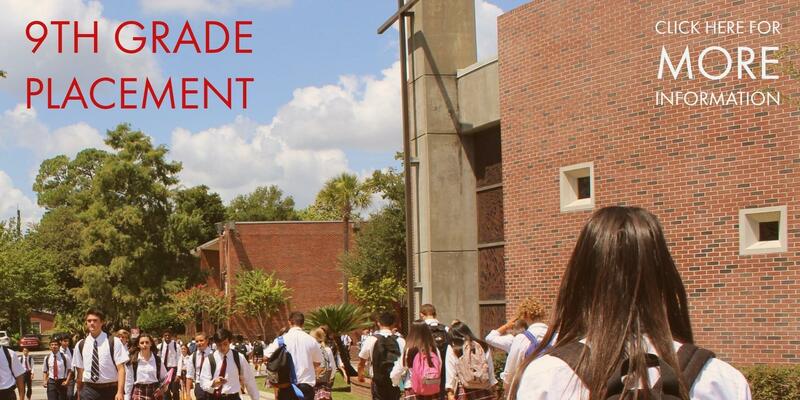 Bishop Kenny High School requires that all incoming 9th grade students take the High School Placement Test (HSPT). Performance on this test is used to determine the student’s best placement in English, math and science courses. For more information regarding the placement process, we encourage you to visit here. Additional information can be found on our Class of 2023 page.